I’ve taken a look at several of Sharpie’s products in the past, from their regular markers to pens and liquid pencil. But their main product comes in a large variety of colors I have not yet covered. 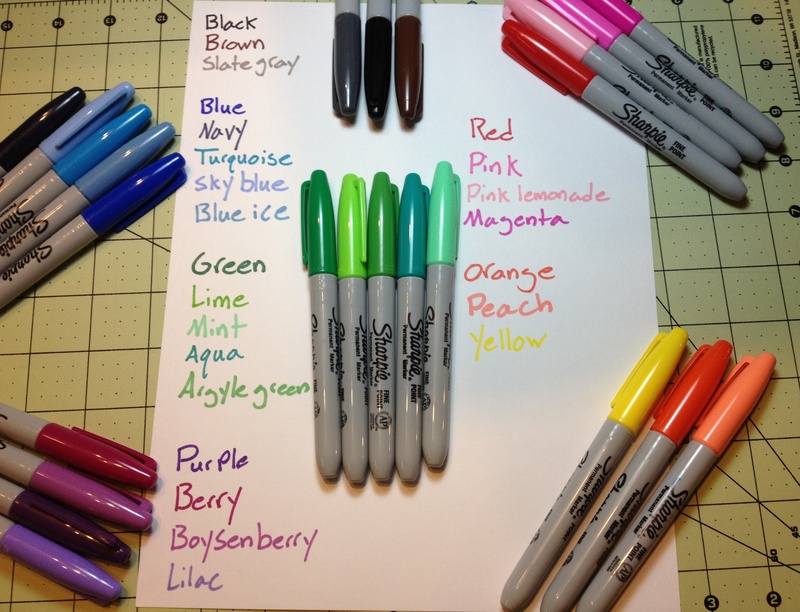 I received a gift of a set of 24 Sharpie pens some time ago, but haven’t looked at them until now due to the fact that I didn’t know what the colors actually were. 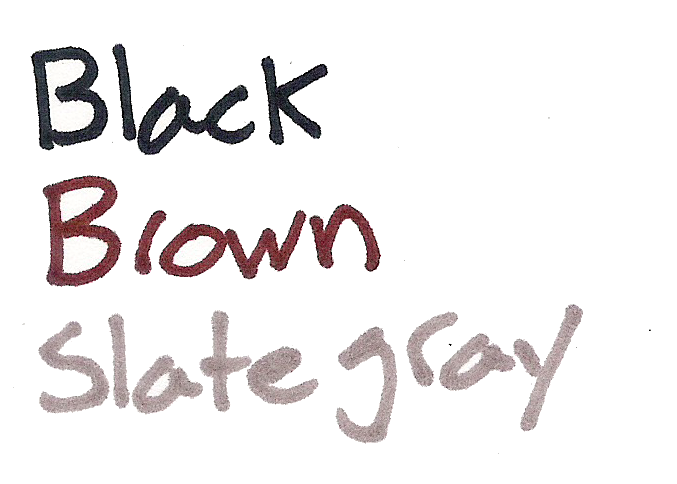 Sharpie and several other well-known pen brands are notorious for not having their colors easy to identify, so this series took more research than usual. I will say that I might not have identified all of the colors correctly, so if you see something that seems like it has been misidentified here, please leave a comment and I will reevaluate it. With that said, let’s get to the pens. The first set I’m going to look at is the neutrals. There are only a few, which makes sense. But these are some of the most useful: they show on many surfaces, are not an eyesore in general, and are workplace appropriate. Black – Black is the gold standard Sharpie color (except for the actual gold ones) and it is very good. It is quite dark and professional. It does have a tendency to shade as most dark inks do, but if gone over a second time there are no problems. It’s pretty waterproof (they all are so I won’t mention that again), has almost no spreading or feathering, and is tied for the least show/bleed-through with navy. It’s a great, well writing color, but it can be a bit dry. Brown – Next is brown, a color that doesn’t seem that popular (but I’ve ended up with a few, take that as you will). It is a very dark brown, distinct from black in even poor lighting, but it looks more like a gray in that case. It is also fairly dry, and thus feather- and bleed-resistant, though not as much as the black. It’s good for sorting, but not for art, really. Slate Gray – I don’t know where the trend of having “slate gray” be standard gray started, but it continues here. This is a “just over the dark line” gray. It’s not a very natural color, and isn’t even something you’d really see in a city. It is very wet and really does feather and bleed, meaning it’s not the greatest for use on thinner paper. It is almost the same on both sides in that case, and it even goes through card stock a bit. I’d say it holds the title as wettest, and is just a boring color. And that’s the neutral colors. They’re good for office use, and for sorting things by color, but for art applications they are limited. Next time I’ll take a look at a few of the blues Sharpie offers.